The Cranbrook Daily Townsman reports that Whittingham has refused to report to the Kootenay Ice. Whittingham reportedly was excited about getting an opportunity to play a more expanded role with the Ice, but had second thoughts as the week progressed. Jeff Chynoweth, the Ice's president and general manager, revealed the news on Thursday afternoon, stating to the Townsman that Whittingham was not coming to Cranbrook. and is looking at all options to continue his hockey career. Chynoweth, however, indicated that Whittingham's future wouldn't be apart of the Ice or the WHL. Despite his refusal to report to the Ice, Whittingham's decision will not impact the trade with the Spokane Chiefs, who traded him and a 4th Round pick in the 2017 WHL Bantam Draft in exchange for Presten Kopeck. The Townsman reports that there was a protection written into the deal to cover this particular situation. Ice head coach Luke Pierce didn't find Whittingham's refusal very newsworthy. "I'm not going to lose much sleep over it," he said "I'm not really concerned with it. If [Whittingham] ends up, at some point, deciding to come, he'll help us with our depth up front. If he's not here, which is my feeling that he won't be, it just gives the current group we have more opportunity and more ice time." Pierce also appeared to take a subtle shot at Whittingham. "We're focusing on trying to develop our young players and give them a chance to play," he said. "Having a 20-year-old here for a couple months really doesn't help our project. It's a win-win either way, in my opinion." Whittingham's refusal to report to Kootenay marks the second time this season that a player as refused to play with the hockey club. Back in November, the Ice acquired 18-year-old forward Johnny Wesley from the Lethbridge Hurricanes in exchange for a 7th round pick in the 2018 Bantam Draft. Wesley reportedly was willing to report to the Ice and the deal was officially processed by the WHL. However, Wesley had second thoughts and informed the Ice he would not report. 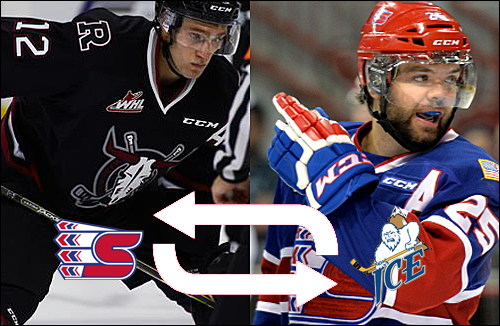 The deal was nullified by the WHL and Wesley returned to Lethbridge. Four days later, he was traded to the Vancouver Giants for an 8th Round Pick in the 2018 Bantam Draft. Whittingham's refusal adds another chapter to an awful season for the Ice. The team currently possesses the worst record in the WHL, a 7-31-3-0 mark with 17 points. The league's second worst team, the Swift Current Broncos, possess 12 more points than the Ice. A few days after a highly surprising trade, the Spokane Chiefs pulled off an additional surprise trade by sending 20-year-old forward Riley Whittingham and a 4th round pick in the WHL Bantam Draft to the Kootenay Ice in exchange for 20-year-old Presten Kopeck. "The Chiefs would like to thank Riley for his time and commitment with our organization," said General Manager Tim Speltz in the team's press release. "We wish him the best moving forward." Whittingham (6'2'', 196 lbs) becomes the second Chiefs overage player to be traded in the past 5 days. Spokane sent forward Adam Helewka to Red Deer on New Year's Day, leaving defenceman Jason Fram, the team's captain, as the only remaining overage player from opening day. A third round pick in the 2010 WHL Bantam Draft, Whittingham played in 228 games in over four seasons, scoring 45 goals and 49 assists. The native from Calgary, Alberta was respected by his teammates, accumulating 295 penalty minutes as the team's Enforcer. In exchange for Whittingham, the Chiefs acquire Kopeck (6'0'', 174 lbs). Born in Medicine Hat, Alberta, Kopeck was a third round pick in the 2010 WHL Bantam Draft by the Portland Winterhawks. 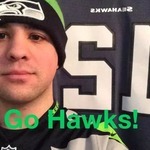 In two seasons with the Winterhawks, he scored 14 goals and 15 assists in 88 regular season games. In the Playoffs, he played in 23 games, 18 of which were during Portland's run to the WHL title. In December 2013, he was traded to the Red Deer Rebels in exchange for Mathew Dumba. His best season came in 2014-15, scoring 21 goals and 27 assists. Kopeck was traded to the Kootenay Ice on January 3, but did not dress in uniform for the team. Chief fans may not understand why Whittingham was traded, but Speltz cited the need for Kopeck's ability on the Penalty Kill. The Chiefs rank 17th out of 22 on the PK, killing only 77.3% of Power Play opportunities. Kopeck will suit up for the Chiefs on January 9th vs the Regina Pats. Last Edit: Jan 7, 2016 17:11:37 GMT -8 by David: Updated Information regarding Whittingham's Refusal to Report. Interesting wrinkle with the Whittingham Refuse to Report story. I know there's been rumblings in the WHL about the Ice relocating to Winnipeg, but nothing's been 100% confirmed. Something must be going on in Cranbrook besides bad hockey, whether it's ownership, management, the coach, or the threat of relocation.